PARENTS living in Northern Ireland owe over £87m in child maintenance to the government agency tasked with collecting and distributing the payments, The Detail can reveal. The total outstanding arrears have risen dramatically in less than two years – increasing from £80.7m in March 2010 to £87.1m in December 2011. In contrast, only £2.6m of debt was collected by the Department for Social Development’s Child Maintenance and Enforcement Division (CMED) during the 2010/11 financial year. A detailed breakdown of the money owed to children living in each postcode district of Northern Ireland is available in the interactive map above. Click on the coloured markers to see information relating to your area. Detailed figures released following a request from The Detail show that over a quarter (27%) of the 28,966 children entitled to receive maintenance payments through the child support system did not receive any money in the last three months of 2011. A leading children’s charity and a lone parents’ organisation have warned that parents’ failure to pay is putting severe financial pressure on many low-income families. Sinn Fein’s Alex Maskey, chair of the DSD committee at Stormont, said he was very concerned to hear that the maintenance debt had risen by £7m since March. “CMED has already told the committee that it is considering writing off some of the legacy debt which is considered unrecoverable but this could only be done with the resident parents’ consent. I am very concerned if £7m has been added to the arrears in the last year. “On the basis of the figures given to The Detail I will be writing to CMED to ask them to explain the increase. In Northern Ireland there are nearly 92,000 lone parents with 150,000 children. Between 20% and 25% of all families are one-parent families. The Child Maintenance and Enforcement Division (CMED) is a division within the Department for Social Development. CMED was established in April 2008 to replace the former much criticised Child Support Agency after the CSA was described as “one of the greatest public administration disasters of recent times” by Westminster’s Public Accounts Committee in 2007. The role of CMED is to make sure that parents who live apart from their children contribute financially to their upkeep by paying child maintenance. Parents should contribute to child maintenance while children are in full-time education or until the age of 19, whichever comes first. Since April 2010, the amount of child maintenance that the parent with care receives no longer affects income-related benefits. There are three options for child maintenance – a family-based arrangement, a consent order (an official ruling made by a court) or an arrangement made through CMED’s statutory maintenance service. Under the most common maintenance rate, non-resident parents with a weekly income of over £200 have to pay 15% of their net weekly income for one child, 20% for two and 25% for three or more. Other factors that can affect the amount of child maintenance a non-resident parent has to pay include any overnight stays and the number of children living with them. All parents with care are paid monthly. CMED has only been in place for four years but during this time has not been without its own controversy. Serious concerns have been raised many times by the Comptroller and Auditor General Kieran Donnelly and these were highlighted once again in his latest report based on CMED’s accounts for the 2010/11 financial year. The report, dated June 30th 2011, raises concerns about errors in maintenance assessment calculations and within arrears balances and that only £2.6m was collected in arrears during the year. Mr Donnelly said that at this rate it would take the department over 12 years to recover the current level of outstanding arrears which relate to 30,700 individual cases dating back to 1993. Tens of millions of pounds have been described by DSD as “uncollectable”, partly because of the current economic climate. The annual accounts also showed £333,000 was languishing in CMED’s bank account because “inherent system weaknesses” meant the department was unable to determine who it had been received from or was due to be paid to. Mr Donnelly’s staff examined 30 cases and found 13 had errors (70%) including mistakes in maintenance calculations and missing case papers. At present, no baseline information exists in Northern Ireland to indicate how many effective maintenance arrangements are in place. CMED is currently carrying out a survey to identify the number of families who have a private maintenance arrangement in place or no arrangement at all. Total arrears broken down by council. Private arrangements not included. It took three months to obtain detailed figures on the debt within our child maintenance system. To read more on how we secured the statistics – click here. 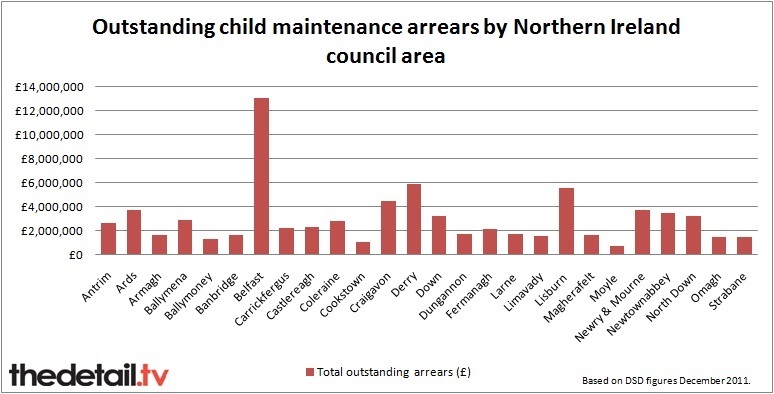 The figures eventually released to The Detail by the Department for Social Development (DSD) confirm that the council areas with the largest child maintenance arrears are Belfast (almost £13m) and Derry (£5.9m). These are also the areas with the highest percentage of children living in poverty. They were followed by Lisburn council area (£5.6m) and Craigavon (£4.5m). The council area with the lowest maintenance debt is Moyle at £760,000. 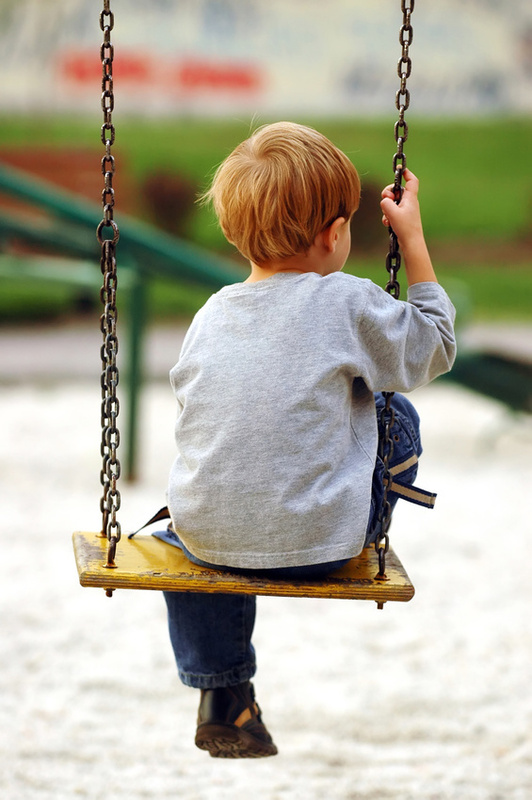 Newry and Mourne is the council area with the highest percentage of entitled children not receiving a payment in the last quarter of 2011 – 33%. The lowest was Banbridge at 22%. To see detailed figures on arrears for each council area and the number of children missing out on payments – click here. We added figures on child poverty levels in each area – as calculated by the End Child Poverty Campaign – to feature alongside the DSD statistics. The department provided a breakdown of the arrears as of December 2011 by the postcode district of the parent who is the child’s main carer. The postcode area with the largest arrears owed is BT47 (Derry) with £3.3m. And the postcode with the greatest number of children not receiving a payment is BT48 – also Derry – with 368 children. The postcode district with the lowest debt is BT77 (Dungannon area) at £5,801. Full details on each postcode district are contained in the interactive map above. 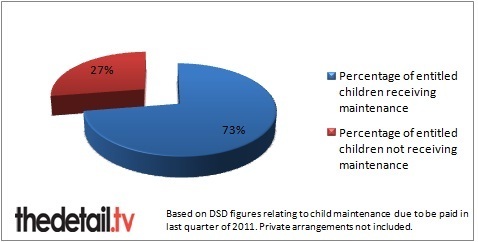 The figures released by DSD do not include private maintenance arrangements agreed between parents. This option is promoted by the department as an alternative to statutory arrangements. Some of the total arrears have not been linked with a council or postcode district area. Just over £6.1m of the total is owed to children living outside of Northern Ireland and the home address of parents caring for children owed £3.4m is stated by CMED to be of an “unknown” council or postcode area. DSD’s 2011/12 accounts will only be finalised at the end of the financial year. WHAT IMPACT DOES MAINTENANCE DEBT HAVE ON FAMILIES? Marie Cavanagh is director of the lone parent organisation Gingerbread NI. She said: “Maintenance arrears of £87m is a huge sum of money which is likely to be very much needed by the children it is owed to in Northern Ireland. Ms Cavanagh said that there were improvements made to the child support system in recent years but it is still too soon to judge how well CMED is now working. She continued: “It is good that the amount of child maintenance received no longer impacts on families’ benefit entitlements but there are still some serious problems and errors made in the financial assessments for maintenance. “The CMED assessment is often contradicted and challenged by the parent with responsibility to pay. This creates conflict and leads to arrears mounting up. Lynda Wilson, director of Barnardo’s in Northern Ireland, said: “Child maintenance raises a child’s standard of living. It can help provide things that other children take for granted like leisure or social activities. “Our experience is that families where child maintenance is not being paid are more likely to fall into debt and poverty because there is an increased chance that the parent with care will turn to doorstep borrowing to make up the shortfall. Baroness May Blood, a community worker in Belfast’s Shankill area, said: “Hundreds and thousands of pounds are owed to women in this area who are struggling to get maintenance which has been agreed to. “There is a lot of anger around this issue and I don’t know whether the new system is making things any better. “There is even talk of getting parents to pay for child maintenance assessments in the future. How stupid is that? “Families are already struggling with rates, bills and costs associated with school. Kids in an ordinary secondary school can have to pay hundreds of pounds to go on some trips. Many women are turning to quick loans from loan sharks to try and make ends meet. The government now encourages parents to make their own maintenance arrangements rather than relying on the state to assess and collect payments. However, this doesn’t work out well for every family. The Detail has spoken to one young mother from Belfast about her battle to secure regular maintenance payments for her child. As a result of her experiences with the former Child Support Agency (CSA), the 22-year-old full-time student has now put informal maintenance arrangements in place but this has also has been plagued with problems. “Gillian” (she has requested we don’t use her real name) said: “I became a single parent when my daughter was just six weeks’ old. My partner had been very controlling and when we split up he got the child benefit and other benefits all put into his name. “I had to go to a solicitor and my daughter was 18 months old before the benefits were back in my name. “I applied to the CSA when she was six months old but when I said to her dad about maintenance he said that he would prefer to leave work rather than pay me money and that’s what he did. Because he was getting Jobseekers Allowance he did not have to pay me maintenance. She described the system as “a joke”. She continued: “When he left his job, they didn’t even take account of the money he had earned when he was working after my daughter was born. They did not look into what savings he had or even consider the fact that he had his own house. The CMED in Northern Ireland and the Child Support Agency in Great Britain can only deal with an application for child maintenance when both parents and the child live in the UK. The only exceptions to this are when the non-resident parent is working abroad in the service of the Crown (for example is a civil servant), is a member of the Armed Forces, works abroad for a UK based company or works abroad on secondment for a prescribed body (for example an NHS trust). If one parent lives abroad and does not fall into one of the categories above, then the parent with care can apply to the courts for child maintenance. If a statutory child maintenance arrangement is set up by CMED, payments can be enforced if the absent parent refuses to pay child maintenance or stops paying. A family-based arrangement is not generally legally enforceable. A DSD spokesman said: “Arrears represent money that is owed by parents for their children and responsibility for unpaid maintenance rests ultimately with non-resident parents. A range of enforcement measures are in place. CMED can deduct money directly from the wages of a non-resident parent if they persistently default on paying maintenance and court action could even result in a prison term. The DSD has confirmed that, as at 31 March 2011, CMED had 4,270 Deduction from Earnings orders in place which allows maintenance and arrears totalling up to 40% of the non-resident parent net income to be deducted by employers. Over 2,200 liability orders have been granted since 1996 (which can affect credit ratings). There have also been applications made to the courts to force property or land to be sold. There have been six applications to the courts to date – four were resolved successfully prior to the actual hearing and two were successful through the court. Applications can also be made to a court to have bank accounts frozen. DSD has confirmed that there have been 139 lump sum deduction orders and 23 regular deduction orders since their introduction in August 2009. There have been two successful applications to the court for committal to prison action. 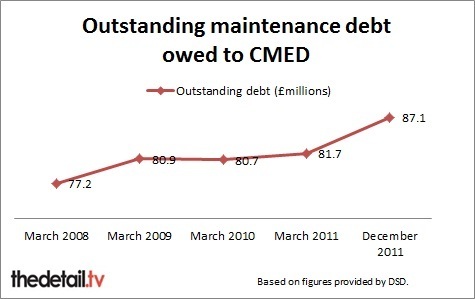 Despite evidence of strong enforcement being taken in some cases, maintenance debt continues to rise. The people paying the biggest price for parents’ failure to pay are thousands of Northern Ireland’s children.